Lincoln Park Zoo Hotel Free Parking,and close to other attractions. Finding a Lincoln Park Zoo hotel that’s convenient, affordable and family friendly isn’t easy until you look at the LaQuinta Inn & Suites Chicago Lake Shore. Located just 12 minutes south on Lake Shore drive this hotel all the above and more. Free parking will save you $50.00 a day at this hotel. Free breakfast, free wifi and its close to proximity to other Chicago attractions like the Museum of Science and Industry or White Sox park will also surprise you. If your a family wanting to come to Chicago then this hotel offers everything you need to have a great experience in Chicago. Plus no other hotel offers great views of Lake Michigan and the city skyline. Lincoln Park Zoo is one of the oldest zoos in North America. The zoo is full of fun, adventure, daily activities and of course all your favorite animals and NO CHARGE FOR ADMISSION! 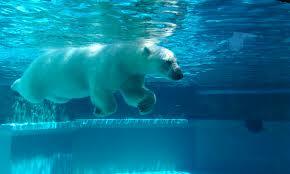 HOURS – The Lincoln Park Zoo is open 365 days a year. Hours change with the seasons. 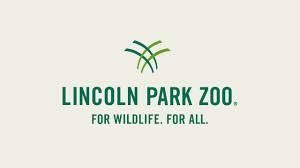 Lincoln Park Zoo is located off Lake Shore Drive at the Fullerton Parkway exit, just minutes north of downtown Chicago. Just take Lake Shore Drive north to Fullerton Ave exit and turn left and you will have arrived at Lincoln Park Zoo. The zoo’s parking lot entrance is located at Fullerton Parkway and Cannon Drive. Parking fees are collected at the lot exit. For visits of less than 30 minutes, there’s no charge. Beyond that, the rates change seasonally—visit our parking page for the latest rates. 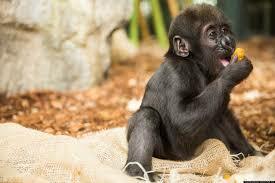 Zoo members receive discounted or free parking benefits during zoo hours. Free street parking is available nearby. Hundreds of animals from around the world—from bushbabies to black rhinos—reside at Lincoln Park Zoo. Plan your animal agenda by learning more about the inhabitants of the exhibits and animal houses. Stop by Regenstein Small Mammal-Reptile House daily at 11 a.m. for our Meet and Animal program or visit the goat yard at the Farm-in-the-Zoo for up-close animal encounters.